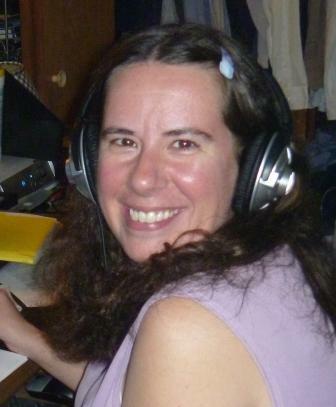 Me in the studio, on the air with Dawn Short of P.M. Lites. The show not only covers the paranormal, but a wide range of other topics. No matter what Dawn’s talking about,P.M. Lites is pure magic! It airs every Thursday from 9 to 10 p.m., and I encourage every listener with eclectic tastes to check it out. For information on the show, click here: http://www.uberradionetwork.com/shows/pmLites.html To listen live, visit http://www.uberradionetwork.com.